↑ Nicks, September 23, 2010. For the initial charges, see "Soldier faces criminal charges", United States Division—Center, Media Release, July 6, 2010. Also see "Charge sheet", Cryptome. Retrieved December 26, 2010; and "Charge sheet", The Washington Post. For the additional charges, see Miklaszewski, Jim and Kube, Courtney. 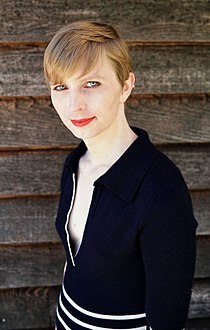 "Manning faces new charges, possible death penalty", MSNBC, March 2, 2011. หน้านี้แก้ไขล่าสุดเมื่อวันที่ 26 กรกฎาคม 2561 เวลา 09:29 น.